Offering a year-round outdoor pool and views of the sea, Monte Malhadais is set in Boliqueime in the Algarve Region, 9 km from Albufeira. The bed and breakfast has a sun terrace and views of the pool, and guests can enjoy a drink at the bar. Villa in Boliqueime VII is a villa with a terrace, located in Boliqueime. 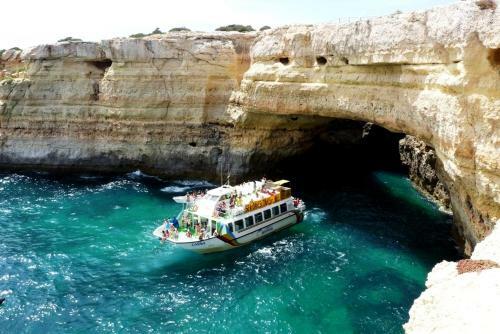 The property is 10 km from Albufeira and boasts views of the sea. Free WiFi is provided throughout the property. There is a dining area and a kitchen. 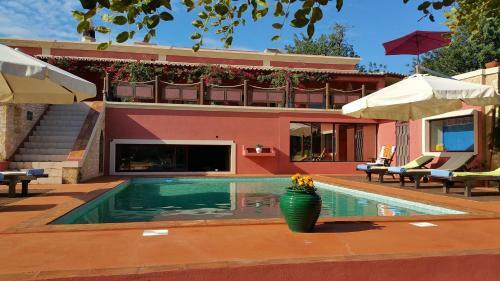 Quinta Quigima is a villa set in Alfontes, 12 km from Albufeira. Guests benefit from patio. Free WiFi is provided throughout the property. The kitchen is fitted with a dishwasher. A TV and DVD player, as well as a CD player are featured.